Scanned some scrap books from the Museum Archives. Most of the good stuff is usually on the reverse side of what the person glued, taped, stapled, into the book. On occasion, I do find some interesting and/or noteworthy articles. These two were from a DPW scrapbook that looks like the director put together. Mostly, the book documents snow storms and traffic. In light of today’s events, I found this one interesting. While Baltimore was being covered by a snowstorm, the Mayor and his staff were in Washington DC for what is referred to as the “Kennedy Festivities”. The VP of the City Council tried to reach the acting mayor, who also left the city for DC. The Director and other higher ups in the political food chain were sleeping. So Willie D (William Donald Schaefer) took matters into his own hands. Schaefer later became the City Council President, followed by becoming Mayor and then Governor of Maryland. On the same page as this was an interesting article from the News Post. 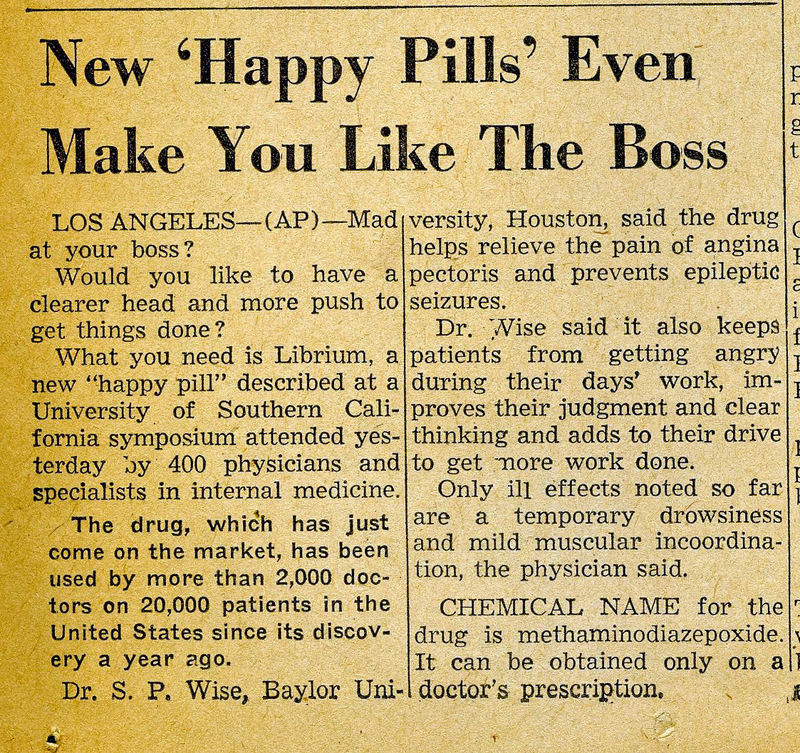 The title is a little confusing – if I take these pills, will I like my boss or ‘be’ like my boss?? In any event, Nation of Librium, enjoy your day and your new boss.